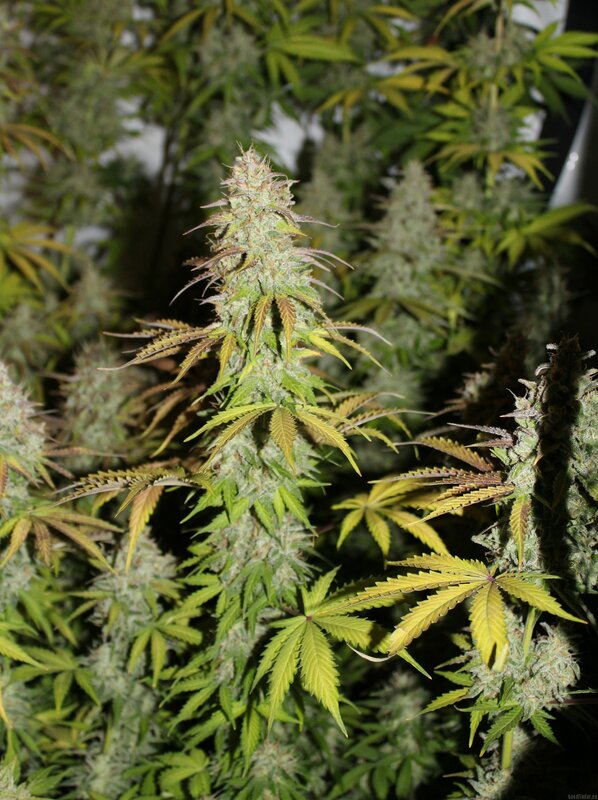 She grows vigorously and finishes flowering in about 8 weeks. Highly resinous and extra sweet. Certain individuals actually display that distinct pink chewing gum scent and flavour. THC levels have been measured at 20+% making it an excellent option for medical users. The short structure, (60-100cm), make Bubblegum Automatic an excellent choice for balconies or where space is an issue. Add to this a finishing time of 70 days from seed and the strains increased hardiness make it a must for any collector.